Register Log In Vannin' Community and Forums Forums General Discussion info on vanning? hi ,all. 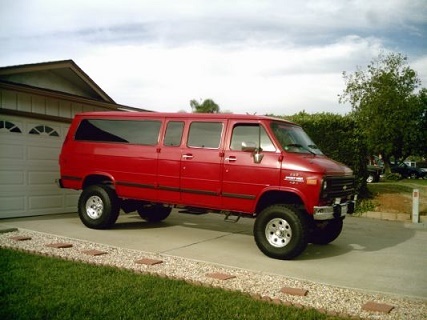 ive got a 66 g-10 and a 79 vandura that i've been working on for a while ..i am gonna try to make it to the van nationals this year ,I would like to know more about the camping side as fare as camping in my van and about the festivities involved? also would like to know about is it ok to just cut and weld ,to extend my sliding door arm on my vandura or is it better to try and make one from scratch? iv'e always liked the hot rod jacked up rear look on these old vans ,ive already lowwerd the front and wonna leav the rear up.i was wandering if you guys know a way to modify the a arms so to help with the alighnment issues?